Last year’s Auto Art Advent featured the artist’s favorite cars from around the world. 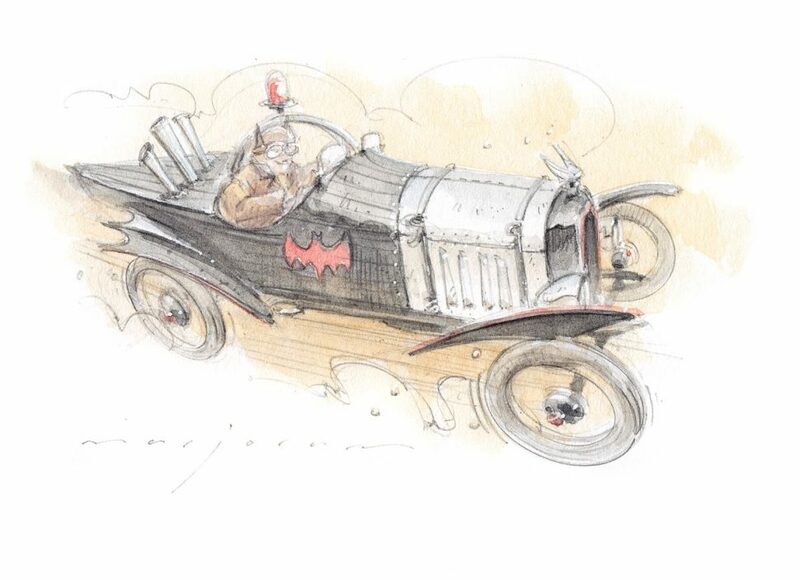 “This year,” he tells us, “The inspiration is TV and film – but still done in a vintage style.” Contemplating historical analogues to modern things is a favorite activity for us, and it is exciting to see Stefan’s dynamic style of art giving a new twist to old pop-culture icons like Ecto-1 and the Bluesmobile. 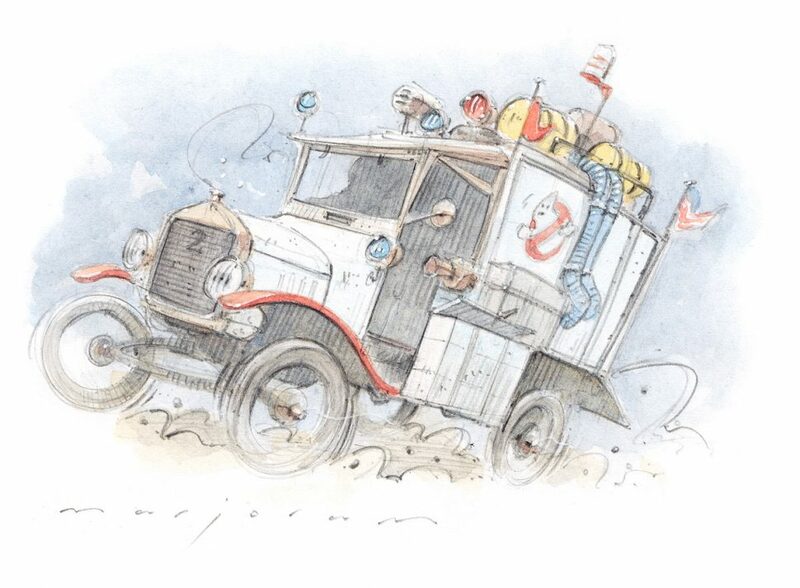 We are ready for the 1920s re-boot of the Ghostbusters franchise, as envisioned by the sketch released December 2nd. 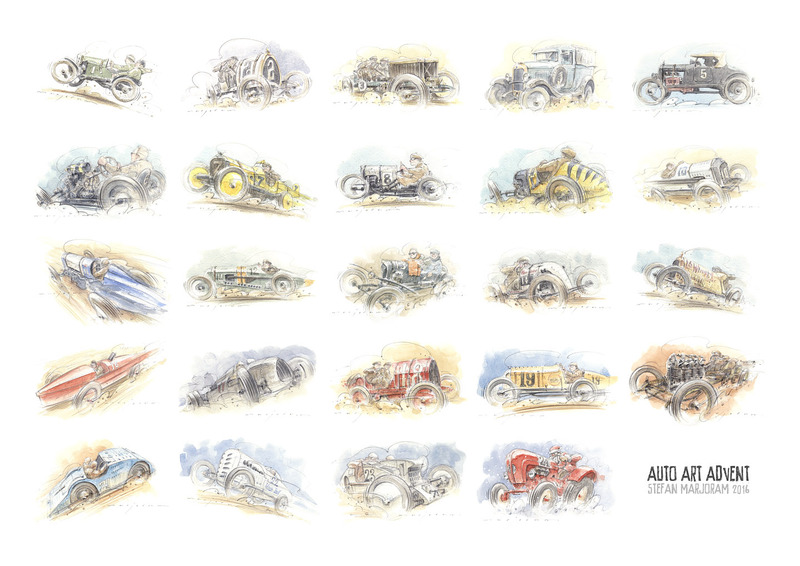 For the full experience, check out Stefan’s website, stefanmarjoram.com, where you can even purchase the original water-color postcard sketches from the Auto Advent series or further examples of his art, photography, and other talents. You can also follow along with each new day’s offering by checking out Stefan’s Instagram account, @stefan.marjoram.